1816,PERU. 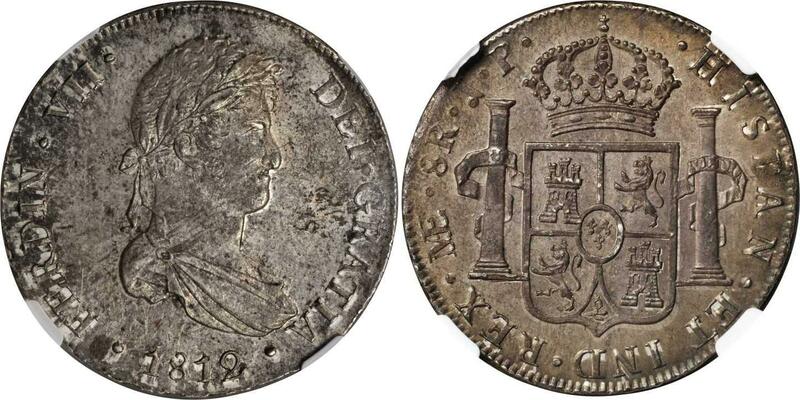 8 Reales, 1816-JP. NGC MS-62.KM-117.1; FC-79; El-84. Some surface debris, lightly toned. 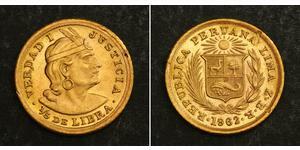 1820,PERU. 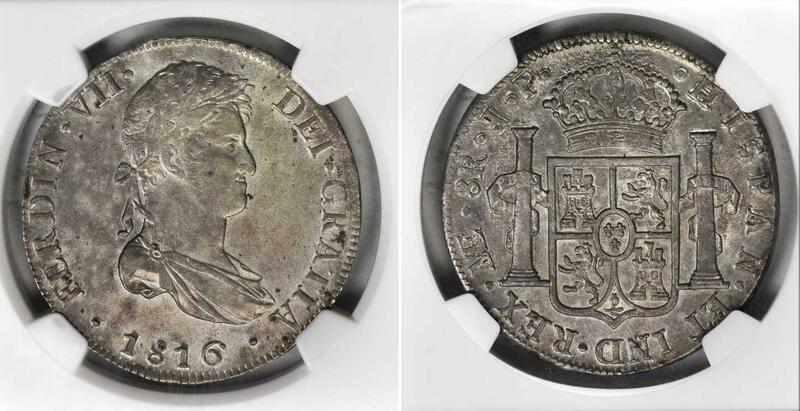 8 Reales, 1820-LJP. PCGS Genuine--Cleaning, AU Details Secure Holder.KM-117.1; FC-83; El-88. 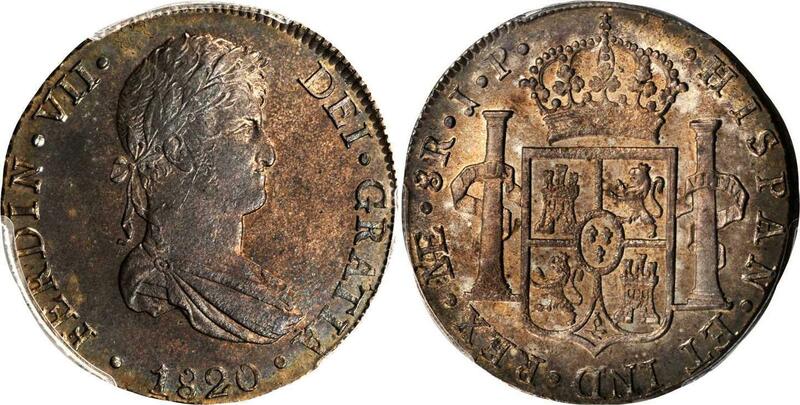 A lustrous and high grade coin showing only light evidence of cleaning. 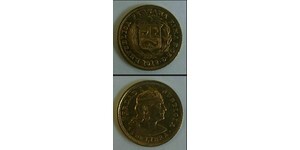 1812,PERU. 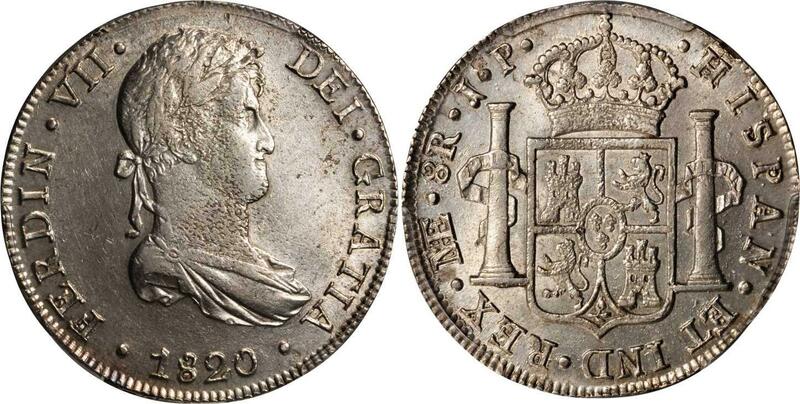 8 Reales, 1812-LIMAJP. Lima Mint. NGC AU-58.KM-117.1. Iridescent toning with areas of underlying luster. Well struck with full button on drapery, side-burn and laurel wreath. 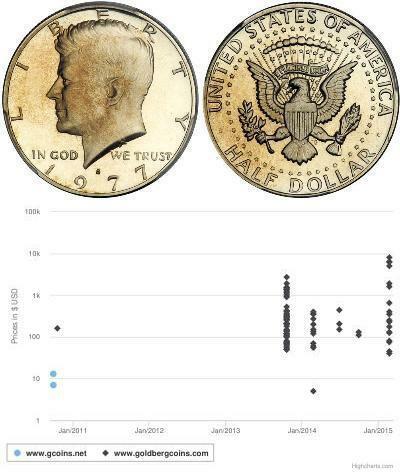 A mint state coin in this cataloger's opinion. 1812,PERU. 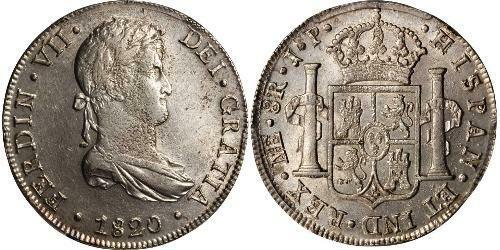 8 Reales, 1812-JP. NGC MS-62.KM-117.1. Ferdinand VII. Laureate head. Mottled toning with luster showing and sharp details.